The Tempest Torch’s tempered glass housing design directs the oxygen needed for combustion, increasing the flame velocity for a dramatic, spiral-like presentation of fire. Beyond its groundbreaking design, the Tempest Torch’s practicality and usability are just as impressive. The variable flame reaches a height of 17″, puts out up to 20,000 BTUs. 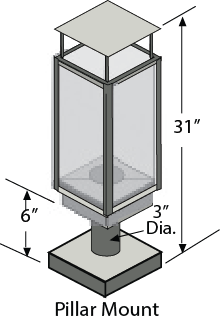 The four-sided, 18″ tall open-air tempered glass housing is designed to prevent the flame from going out during high winds or rainfall, but includes an automatic gas safety shutoff valve, should the flame ever go out. 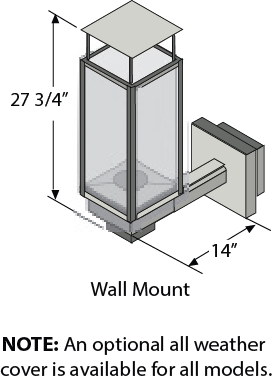 And as most Travis Industries’ products, the Tempest Torch offers numerous display options for a personalized look: short or tall post versions, wall mounted, without a base for those wanting to construct something unique or utilize an existing feature. With all of these options available, fitting the Tempest Torch into your yard for landscape lighting or for general outdoor lighting is simple and easy. 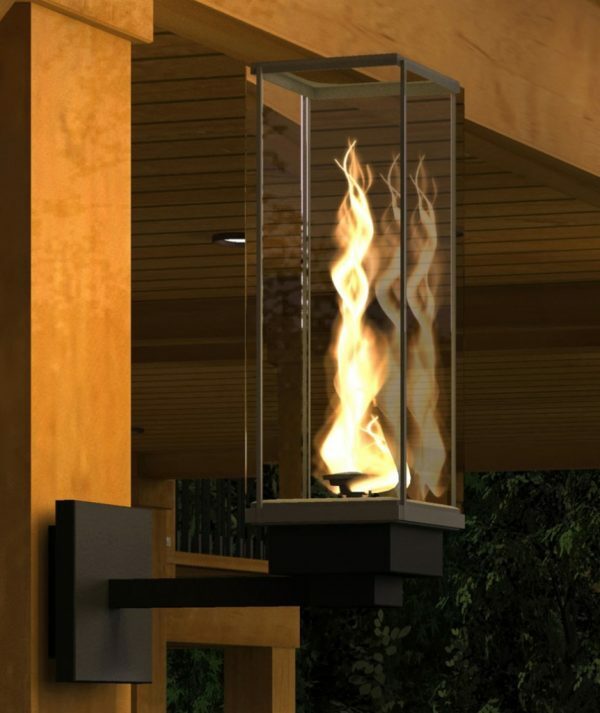 Each option is designed to incorporate the alluring, spiral-like flame into exterior spaces.